Hello & Welcome, my name is Dr. Andrew Walsh. 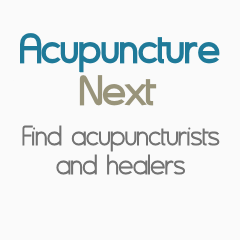 It is not always easy to find a Acupuncturist who can give you a clear answers that you can understand and make sense, well you have found one. You will get the best of both worlds at Acupuncture Orlando with the advancements Western Medical Science and traditional wisdom, we use evidence based acupuncture based on modern research combined with a holistic medical approach. Go to our website to discover the real facts and the fiction about acupuncture and Traditional Chinese Medicine that other acupuncturists will not tell you. Your health is the most important thing you have and as a medical practitioner I have a responsibility to practice medicine with the most current and proven diagnostic and treatment procedures available today. If you choose to have the most advanced acupuncture available today with Acupuncture Orlando you will discover that the best acupuncture will show you immediate results for any condition from pain to digestive disorders. I was born and raised in Australia on a ranch, where my father bred and trained thorough-bred race horses. I was always groomed to be a Veterinarian and was already working for a Vet after school, then my father employed a Vet who had a reputation for being able to treat horses for injuries and improve their performance like no other Vet. His secret was that he was using acupuncture, I was completely fascinated from the moment I saw acupuncture for the first time. I have been studying Acupuncture ever since, taking me around the world including 6 years in China and Vietnam also studying with practitioners form Japan and in Europe.